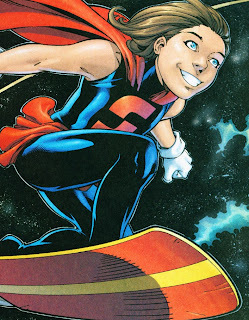 The second Supergirl is Kara Zor-El. She is Superman's cousin, as written in the 1950s comics. Kara is sweet, naive and utterly ignorant of all science. She is from the age of comics where you could alter a planet's orbit by doing a handstand and pushing on the ground really really hard. Her universe has no swearing, no drugs, no litter and everyone has a white picket fence with 2.4 children. Superheroes' main jobs may well include rescuing cats from trees. Kara is diverted from her time line and her rocket crash lands into Linda's hometown. She expects to find Superman, instead she finds Linda who doesn't believe a word she says. Eventually they become friends and everything goes fairly well - Kara even starts to learn basic physics. Then we discover that all Supergirls from all time streams are being murdered, and that Kara must return to her proper dimension, or else all Universes and all timelines are doomed. 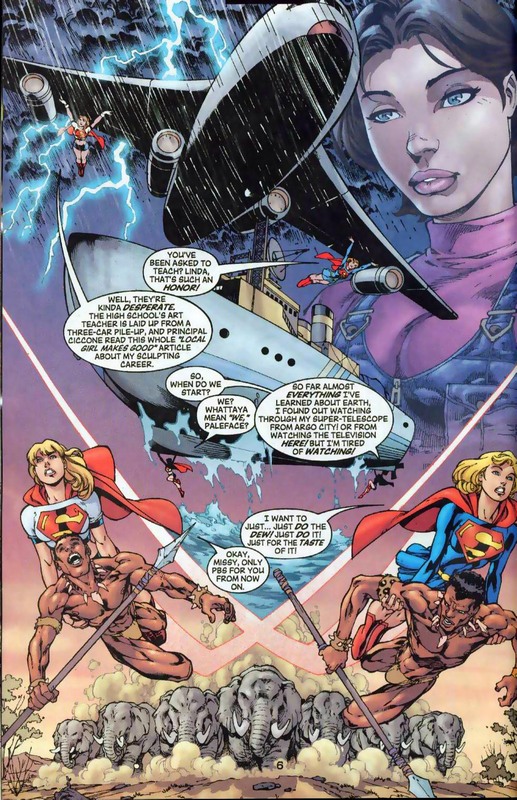 Peter David wrote this arc as a swansong for the character of Linda Danvers. He knew the series was getting cancelled so he wrote the most spectacular storyline he could. 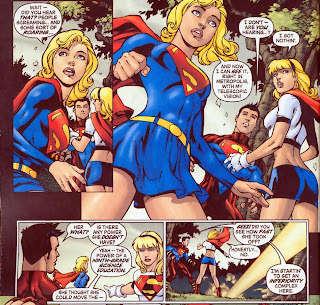 The juxtaposition of a modern 90s Supergirl with one from the 1950s provides a lot of the humour in the book. There are in jokes galore but all are easily understood without knowing the original Supergirl strips. This comic quietly makes fun of the faux science from the 1950s, whilst retaining the ideals and responsibility that goes with taking the 'Super' prefix. 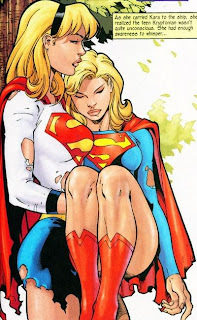 When we reach the conclusion of the story we really feel the difficulty of the choices facing our Supergirls and we grieve for the losses facing each one of them. Like other Peter David penned books, this has somewhat snappy dialogue. It wouldn't really be out of place in a Joss Whedon written show (Buffy, Firefly etc). The good thing about this is that it hasn't dated at all. It's a bit much, but at this stage in his career it's not too bad. Certainly, in this book I feel that it is more than made up by the quality of the plot and the characters. However, in later years it gets ridiculous (books containing art like that will not be featured here, I can assure you). 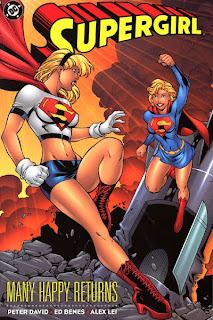 On the plus side, Kara's costume is not designed by Ed Benes at all, he is producing a faithful copy of her original costume. I'm not convinced that makes it ok (it is very short for a 14 or 15 year old), but I will leave the ethics of that to the you readers to decide. 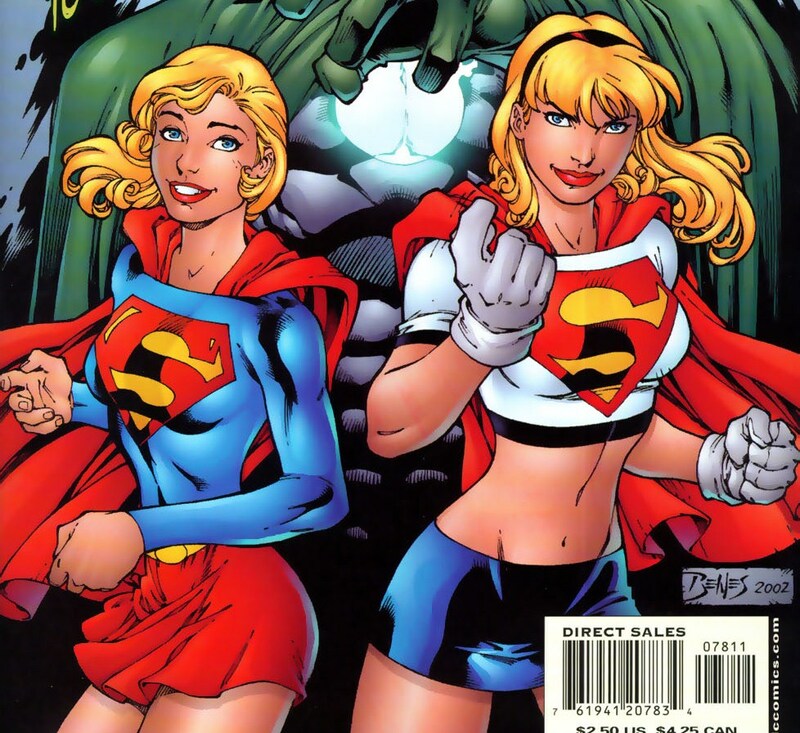 There have only been two trades collecting issues from this particular Supergirl run, featuring this version of Supergirl. The other trade collects the first 9 issues and is simply titled Supergirl. It is now out of print but you should be able to pick up a used copy from places like Amazon. Please follow this link for more details. It's a bit off topic, but appropriate for me to post here on a Supergirl review. I think this is a great blog for new readers. 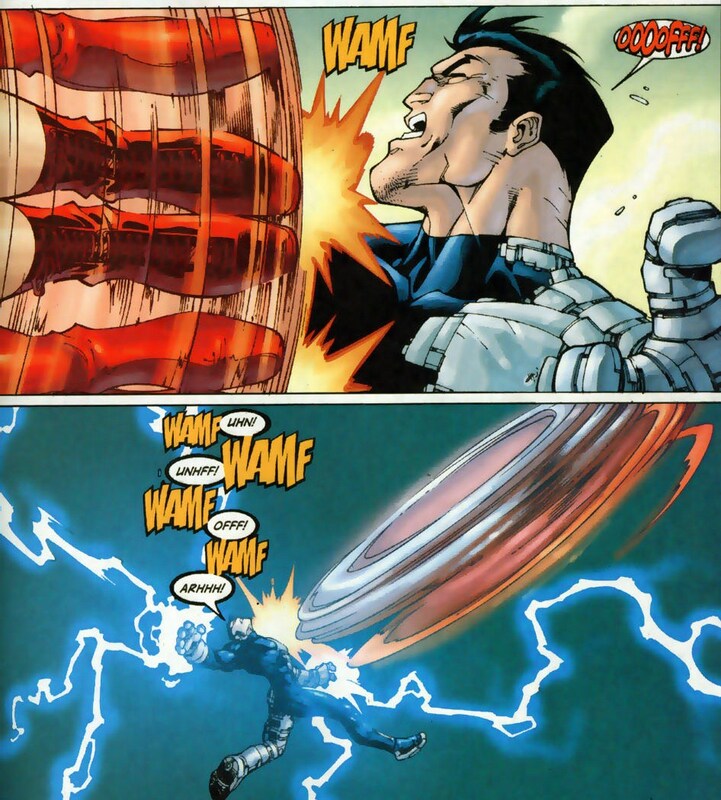 I find the breakdown of the comics insightful. I think the reviews are written in a manner that is very helpful for the uninitiated. And, even though I am far from a new reader, I come here to see if there is something I should pick up that I haven't. It really is one of the best sources of Supergirl info on the web. I kinda want to find this book now, thanks to you! Thanks for the hat tip ealperin! I've now changed the link in the post.